Summary: In pursuit of dominance over the Middle East the US government destroyed Iraq, one of the two regional powers. Now we run the same playbook against Iran. Being a docile and easily led people, we don’t notice the similarity, or that our government trashes America’s greatest accomplishment on the world stage — and perhaps its primary legacy. While negotiations on Iran’s nuclear program are at a standstill, news this week indicates that Iran is clearly losing the economic battle. As in other cases, currency problems in Iran may contribute to an unpredictable and destabilizing political outcome. Iran’s currency fell by more than 18% against the dollar on Monday and another 8% on Tuesday, marking a new low in Iran’s continuing economic crisis. The figures are grim: a sheaf of rials worth ten thousand dollars a year ago would be worth about $3,750 Monday and $3,500 Tuesday; on Wednesday, there were protests in the bazaar. Short of buyers, oil production has fallen dramatically. Peugeot has ended its role in Iran’s auto industry, which has seen production declines of up to 50%. Inflation and shortages have become daily troubles. Various basic goods reportedly have doubled or tripled in price in the last year. Chicken has become a luxury item. Officially, inflation is at 23.5% ; unofficially, it is at least a few percentage points higher. With manufacturing lagging and certain imports (especially gold) growing in spite of the rapid currency depreciation, Iran’s foreign-exchange troubles apparently are being “passed through” as inflation. Extreme shifts are coupled with widespread political uncertainty (some of the rial’s worst days have been around nuclear negotiations) and a central bank hobbled by international sanctions. Iran may be on the verge of a bout of hyperinflation. Let’s recap the play: Our government, along with Israel’s, has incited fears about Iran’s nuclear program (public information doesn’t allow us to determine if they are largely baseless, like those made since 1984). They’ve hyped fears about what Iran would do with nukes, fears contradicted by history. these have allowed us to impose crippling sanctions on Iran. All of this serves to cloak our actual goals, continuation of our decade-long program to destroy all rivals to the US in the Middle East. The two poles of power in the Middle East are Iraq and Iran. We weakened Iraq with 13 years of sanctions plus fake accusations about nukes, with our invasion and occupation destroying the ruins. Now we’re repeating the program with Iran. The sad part of this is the inability of the American people to see what what’s happening. This willful blindness by the people of a great nation deserves pity (but not from our victims). We’ve become like the people of the great city of Nineveh in Jonah chapter 4, whose people who could not tell their right hand from their left. Consider what we once were. While our victory, with our allies, in WWII was impressive, far great was our magnanimity in setting the term of the peace. And after that was our rebuilding of our foes, and construction of the institutions to build a new world. A new framework of international laws, a forum to resolve grievances between nations, and the global institutions to build a better world — the WTO, UNICEF, the World Bank, the International Monetary Fund, and the many other agencies through which we can learn to work together. It’s not that this new order worked as well as we hoped, and of course it served US interests as well as our dreams. But we’ve not only done something rare in American history — giving up on this project — but even become the enemy of what we created. Our mad empire violates its laws (invasions, occupations, assassination, torture, mercs, etc). Our mad trade and fiscal deficits imperil its structure. Our defection removes its most powerful supporter. Consider what we could become. It starts with each of us resolving to do better, and setting higher standards for ourselves and each other. 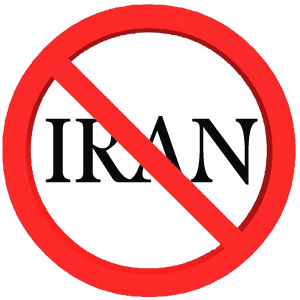 See all posts about the war the US and Israel wage against Iran at this FM Reference Page. Excellent piece but if the human was to ensure its survival it needed to have abandoned greed, war & empires long. All that time evolving wasted to blow it, like we always have done. Maybe next time! Since I doubt we’ll so fundamentally change human nature, Jon’s view is too pessimistic for my taste. But we’ve made great progress during the past millennia at building better societies, and I see no reason for that progress to stop. I dont believe our survival is an issue. Humans have proven they will continue on, even after the fall of great civilizations. However, should all we hope for is our survival? Or should we be looking toward a future where we not only survive, but do so with a level of civilization left from which we can continue to progress. I too will say that a pessimistic view is perhaps not in my nature. While perhaps, optimism is but naive hope. But, one thing I think can be stated as factual is this: the issues we face today are not new to this generation, but have been here and known for at least two if not three generations. But, as has so become the story of our speicies “Oh its not that big of an issue” and the buck gets passed on to the next. I believe in this sense, optimism is the only attitude that may ensure that not only does the buck stop here, now in this generation……and that with out it, Jon is absolutly correct and it will be many generations from now befor any substantial civilization can rise again. And then only if there are enough recorces to allow that to happen. I totally agree that survival of the species — or anything larger — is not at risk. I see no signs that western civilization is at risk. Political regimes uncounted have risen and fallen during the 1200 years since western civilization restarted. For that matter, many political regimes in the West are doing just fine today. For example, the Nordics. And civilization is doing just fine in the East. The question that Glenn Greenwald regularly ignores, and a worthwhile discussion item, is Iran’s employment of terrorism. Greenwald conveniently ignores the issue or attempts to turn it against the U.S. and Israel, but the Iranians and their supporters have killed thousands of Americans – and no, I am not exaggerating – as well as other innocent civilians worldwide. Even if we had the option of just packing-up and leaving the Gulf region, what should be done about Iran’s aggressiveness? Should Iran get to be the hegemon in the region? What is the impact of letting Iran, vice Saudi Arabia, dictate oil prices for much of Western Europe and Asia (of note, the U.S. receives very little oil and gas from the region). And lets keep in-mind that Israel had a strategic relationship with Tehran before the revolution, as did we. It was the new Iranian Regime that made hating the U.S. and Israel a part of its purpose for being. The Iranians went looking for a fight in Lebanon and the Palestinian territories, not the other way around. Iran also supported a European terror bombing campaign, assassinations, and hijackings. So what are legitimate U.S. interests in the region? How should we react to Iranian sponsorship of terrorism that is not “reactionary”, but “aggressive” and “destabilizing”? If sanctions are not the answer, what is? Or should we just walk away and let the Iranians have their way, believing that in the end their system of government is corrupt and will die of its own accord? I dont think I have seen a solid argument regarding a “third way” and am all ears. In this instance, complaining about U.S. policy is not enough without coming-up with something better. Everybody loves the false dilemma! Do it my way OR do something idiotic, even insane. Those are the only two choices. Before we discuss your analysis, please cite a expert who believes we should “pack up and leave”. (2). J’s second point is just as interesting. Iran is bad since they use terrorism. But we too use terrorism, and since 2000 on a far larger scale than Iran. So J must believe that the rest if the world should ally against us both. Us first, as the largest and most frequent offender. I did not say those were our only two choices, I asked what should we do instead of sanctioning Iran? You have not proposed an alternate solution, nor looked at what U.S. National Security Strategy in the region should be. What do you think we should do instead? As to your point: “Before we discuss your analysis, please cite a expert who believes we should “pack up and leave”. As to your second point: “Iran is bad since they use terrorism. But we too use terrorism, and since 2000 on a far larger scale than Iran,” I dont recall using the word “bad”. Did I say “bad”? I said the Iranian Regime is destabilizing the region and fighting us, the Gulf states, and Israel in a proxy war. How do you recommend we deal with that? I mean, does the U.S. not get to exercise its own National Security objectives because you feel we have lost some sort of international legitimacy? I am not sure we can wait for international validation before we do what is in our national interest. So, again, what is the SOLUTION to the Iran problem that best advances U.S. National Security goals? If not sanctions, war, or leaving, then what? WWBD (What Would Boyd Do)? If you expect me to debate the Greenwald moral authority argument, you have the wrong guy. We have to do things that are in our best interests, not always what is popular in the leftist coffee shops or neocon think thanks. Doesn’t mean idealism does not have its place or gets a vote, but not to the extend he and Elliott Abrams thinks it does. Two sides of the same coin, in my opinion. I gave an exact quote of your words. (a) We’re at war with Iran. Sanctions are part of that war. Other aspects are sabotage, assassination, cyberwar, aiding insurgent terrorists. (b) The war is allegedly, like our invasion & occupation of Iraq, a response to a probably non-existent nuke program. We have attacked Iran off and on since 1952, and constantly since the revolution in 1979. Their actions in response are probably defensive. Why not try talking to them? The US has been at war almost every month since 1950. Other nations manage to get along without constant war; perhaps we should learn from them. We are attempting to gain full hegemony over the Middle East. While profitable for power US interest groups — and supportive of Israel’s land acquisitions — this has no clear relation to US national goals. It’s certainly destabilizing the region, probably in ways against our long-term interests. (4) “As to your point: “Before we discuss your analysis, please cite a expert who believes we should “pack up and leave”. Toby C. Jones says no such thing. He speaks of military withdrawal, not complete withdrawal. Military bases are only one way of engagement. There are many other forms of economic and diplomatic leverage His article is quite specific on this point (red emphasis added), and echos views expressed by many experts in the ways of that region. The status quo is never easy to change … A new strategic approach, one that relies less on the projection of military power, will seem replete with risk. Skeptics will warn that Iran would be emboldened, that terrorists would seek a foothold, and that the flow of oil would be imperiled. But these fears are exaggerated. To the extent that these dangers are plaudible at all, it’s because our current policy makes them possible. The greatest risk is proceeding ahead with the status quo. To disengage from our fraught and increasingly counterproductive Gulf presence would require the U.S. to begin withdrawing its military personnel from the region, reduce its spending on existing infrastructure, put an end to the weapons pipeline, and look for places from which it can depart immediately, such as moving the Fifth Fleet out of the Gulf and reducing the Navy’s burden in patrolling the Gulf. Where the presence of the military has constrained American leverage, its removal will increase its power in other ways. … Using these sources of leverage would prove less problematic for an America that is struggling with the gap between its interests and values in the less-than-democratic Gulf. You expect us to believe that you don’t consider those “bad” things? LOL with that. (a) The moral high ground is often decisive in geopolitics, as shown by our own Revolutionary and Civil Wars (see details here). (b) The primary fact about our current strategy is the scale of its failure. Two expensive defeats, both destabilizing the region — both probably in ways adverse to our interests. Our long support for local tyrants warns us that some or most of the popular governments from the Arab Spring (probably still in its early stages) might be hostile to us. I have discussed this at considerable length. I suggest your start with these posts. Certainly not. I doubt you are even remotely capable of dealing with his analysis. Your analysis shows zero evidence that you have any idea about the history of our engagement in the Middle East, or the current dynamics. The usual slanted, one-sided bunk from Fabius Maximus, defending a theocratic, terrorist, oppressive regime that murders its own citizens and those of other nations with impunity. Fabius thinks the USA is just as bad, if not much worse. Maybe he should just move to Iran, let’s see him exercise his constitutional freedoms there. By the way, if the nobel, gentle leaders of Iran really cared about their suffering populace, why don’t they just come totally clean on their nuclear program. The 5+1 would knock themselves over in the rush to lift sanctions. Iran could have all the peaceful nuclear power it wants, even if economically for a natural gas rich nation like Iran, nuclear power makes very little sense at all. Could never and would never difine ANY of our own governments actions. Or, we could lift the Patriot Act, so he could continue exercising them here. It’s distubing when citizens of a nation are so blinded by their own egocentric patriotism, they fail to see what has occurred under their very noses. It’s a common phenomenon. Lots of great literature and philosophy about the danger of fanaticism, and its ability to destroy the object of its love. Historically, western colonialism in the middle east had two primary aims: (1) secure trade routes so that profitable commodities such as tea, spices and silks could be imported into europe, and (2) ensure that a geopolitical “buffer” existed to thwart Russian/Soviet attempts at blocking western trade by moving to the south. This was accomplished by european/american bullying (Islamic culture had become weakened everywhere, except the Ottoman Turks). Western colonial powers supported anti-reformist regimes, making a long-term solution more difficult. In the case of Iran, a democratically elected government was overthrown with CIA connivance in the 50s to protect corporate Oil interests. The middle eastern people feel humiliation because uncivilized, or materialistic, westerners have dominated and dictated their fate. The relationship involves little real respect or understanding by westerners. Bias disclosure: I was formerly a member of a “persecuted” Iranian religion, bahaism, derived from Sufism and Islamic (Shia) esotericism. The US is not a theocratic regime, although large elements of the GOP coalition believe it was and should be again. We see traces of this in — “under God” added to the pledge of allegiance (added in 1954), “god bless America” at the end of Presidential speeches (started by Nixon), and “in God we trust” on coins (1864) and currency (1957). Starting in Vietnam, and on a large scale since 2000, the US government has used terrorism as a tool. And it has murdered two of its citizens without charge or trial (and has a list of others marked for death). That’s documented fact. We are certainly doing most (perhaps all) of these things on a larger scale than Iran. Weighing which nation is worse I leave to academics, priests, God, and those playing god. It’s not an operationally important question. David S appears to have little understanding of the responsibilities of citizenship. Unquestioning obedience is not on the list. This would be a good place to cite the Founders’ statements about the dangers of foreign wars, such as going abroad in search of monsters to destroy, but his comment suggests that DavidS doesn’t listen to them. What? Is DavidS having a delusional fit while writing this? What nuke program? You mean like the one US officials said Saddam had? Or the one in Iran, which has been a few years from producing a nuke SINCE 1984? In fact the public statements of the US intel community have been clear that there is little evidence that Iran has had an illegal nuke program since 2003. On the FM Reference page about our war with Iran you will see links to posts thoroughly documenting this. Actually, Mossadegh was also trying to play the Soviets against the U.S., as well as demonstrating undemocratic tendencies before we helped to overthrow him. In the 1950s, the U.S. had reasonable concerns over the Soviet menace, so one cannot really blame us for deciding that a country we had recently defended from a Soviet invasion and pardoned for its alliance with Nazi Germany was not going to be allowed to play us. We also had a UK that was devastated from WWII and needed Iranian oil to rebuild. Easy in 2012 to blame the U.S. for everything that went wrong in Iran, but history is more complicated than that. You wanna blame someone, blame the Iranian people for having one dictatorial regime replace another one. Evin prison never closed, just changed hands. Seldom has this website seen such morally abhorant and obtuse statement. Yes, that’s why they call them sovereign nations. They get to compete for allies. Just because overthrowing Iran’s government was cheaper than outbidding the USSR doesn’t mean that Jesus approves. Find some Iranians and explain your reasoning to them; report back their reactions. That’s almost too bizarre to believe. J is living proof that indoctrination can make people believe anything, no matter how dumb. Who made us God, getting to overthrow governments we find showing “undemocratic tendencies”? J apparently does not realize that we replaced an elected government with a tyrant — the Shah. Secret police, etc. Post-WWII history shows that we prefer tyranical regimes to democracies. Still do, as shown by our long support for the Saudi and Bahrain regimes. God forbid that the UK might have to pay Iran market rates for their oil! By the way, oil is fungible. If Iran sold it to someone else, Britain could buy someone else’s oil. Indeed. Because of the history of their relationship with Western countries, Iranians have a long experience of being whacked every time they attempt to establish their independence. 1) 1906: Iranians make their “constitutional revolution” and establish a constitutional monarchy. The UK and Russia intervene to quash democratization and reinforce the Shah. 2) 1941: although Persia had declared its neutrality, the UK and the USSR invade the country, depose the Shah and replace him with his son. 3) 1953: the well-known event where the USA and the UK foment a coup against the democratically elected government that had nationalized the oil industry. Foreign-supported Shah takes over, again. And nowadays harsh sanctions and constant threats of military attacks because of an alleged Iranian atomic bomb. Is it so extraordinary that Iranians consider Western countries to be fundamentally untrustworthy? American drones regularly blast apart wedding parties full of innocent women and children in Pakistan. Further drones then target Red Cross workers who come to the aid of the mutilated survivors. Is this not terrorism? America now assassinates its own citizens without putting them on trial and without charging them with a crime. Is this not terrorism? America now legally steals people’s property without going through a trial, by means of the dishonest “asset forfeiture” scheme. Is this not terrorism? America kidnaps people and whisks them away to other countries to be tortured. Is this not terrorism? “They hate us because of our freedom” applies not to Al Qaeda (which scarcely exists any more), but the United States government and its secretive paramilitary assassins and kidnappers and sneak thieves with badgers. Just a guess, but that article might not tell the full story.